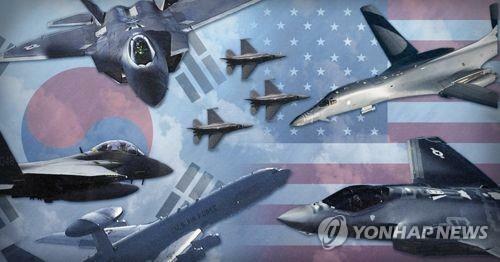 SEOUL, Oct. 26 (Yonhap) — South Korea and the United States will hold their annual defense ministers’ talks in Washington, D.C. next week to discuss the fate of this year’s combined air exercise, the transfer of wartime operational control and other issues, Seoul officials said Friday. Defense Minister Jeong Kyeong-doo and his U.S. counterpart James Mattis will attend the 50th Security Consultative Meeting (SCM) on Wednesday amid the allies’ efforts to ensure cooperation over denuclearization and a lasting peace regime on the peninsula. At the SCM, the two sides are expected to reach an agreement on the suspension of their annual massive Vigilant Ace air exercise that involved some 270 aircraft last year in a show of force against a then provocative Pyongyang. Speculation has persisted that the exercise will be skipped to boost ongoing diplomacy with the communist regime. Last week, the U.S. Department of Defense said that the allies agreed to suspend the exercise. But Seoul’s defense ministry said the allies just weighed “various ideas, including the suspicion” in an apparent indication of differences over the fate of this year’s exercise. At the talks, the allies are also expected to finalize a provisional plan to reorganize a combined forces command after the transfer of wartime operational command, which will enable South Korea to lead combat operations with the U.S. playing a supporting role. The SCM will be an opportunity for the allies to reaffirm that they are on the same page over ongoing peace efforts. Washington has reportedly been wary of the fast pace of inter-Korean exchanges at a time when Pyongyang has yet to take tangible denuclearization steps, such as a full declaration of its nuclear inventory. Meanwhile, the defense ministry unveiled the allies’ joint statement celebrating the 50th anniversary of the creation of the SCM. “Over the last 50 days, (the SCM) has played a core role in maintaining peace and stability on the Korean Peninsula and further strengthening a robust South Korea-U.S. alliance,” its Korean-language statement reads. An English statement has yet to be released. “Especially, the SCM will continue to explore ways to achieve complete denuclearization of the Korean Peninsula in a final, fully verified manner and establish permanent peace on the peninsula,” it added.